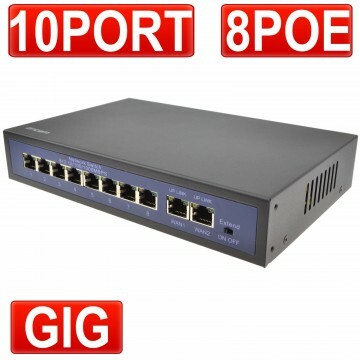 This encam 6 port switch has 4 dedicated ports for POE (power over ethernet) and 2 10/100mbps ports labelled WAN1/WAN2. 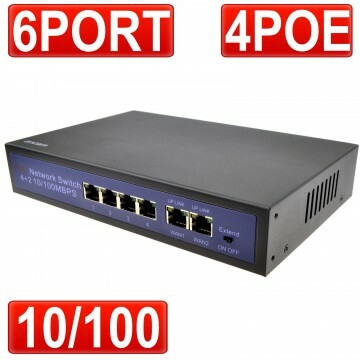 The first 4 ports are used to send power over Ethernet usually for CCTV cameras but some access points or wifi range extenders also use this feature among other devices. When using with our encam NVR or XVR recorders simply connect a cable from the recorder to the WAN port. 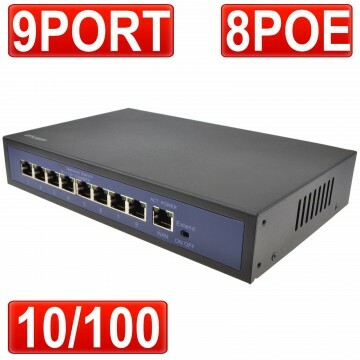 Then connect a POE camera to any of the POE ports on the front of the switch. You can then attach a cable from your router to the second WAN port to connect the recorder to the internet. The POE is fitted with an “EXTEND” switch that will allow you to increase the distance of the POE ports when turned on.